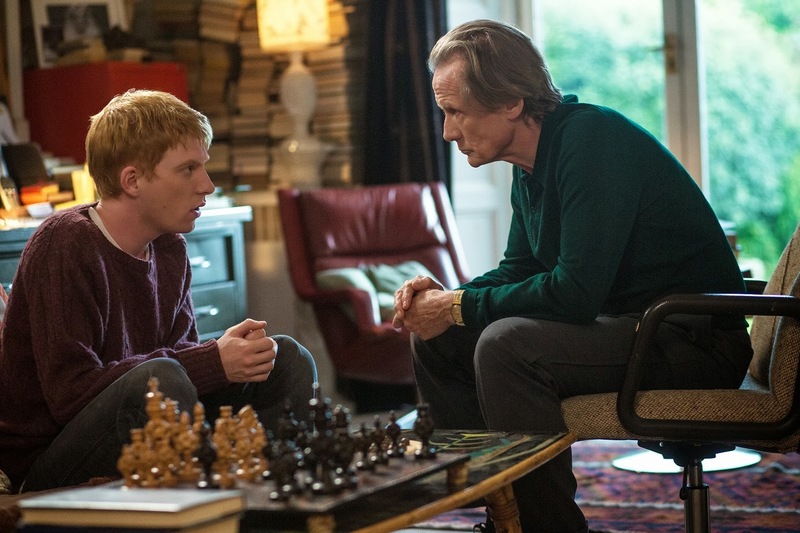 Just for a second, travel back in time in your head to the fall of last year when the sci-fi tinged British romcom About Time was relevant. You there yet? Good. See, the luxury of the annual January/February cinematic lull is that it gives one a chance to look back and catch up on some of the movies that are easy to miss amidst the rush of late in the year Oscar buzz worthy fare, and this was one of the few that slipped through the cracks for me. Evidently I didn't miss much, and if like me you missed this movie on the first go round, I wouldn't rush out to correct the oversight. Though somewhat enjoyable as an understated comedy, the missed opportunities and wasted potential underpinning this film are so glaring and obvious as to be insulting to anyone with an appreciation for the way the element of time travel can inform a narrative, and even if you don't care about any of that, its still more dull than anything else. 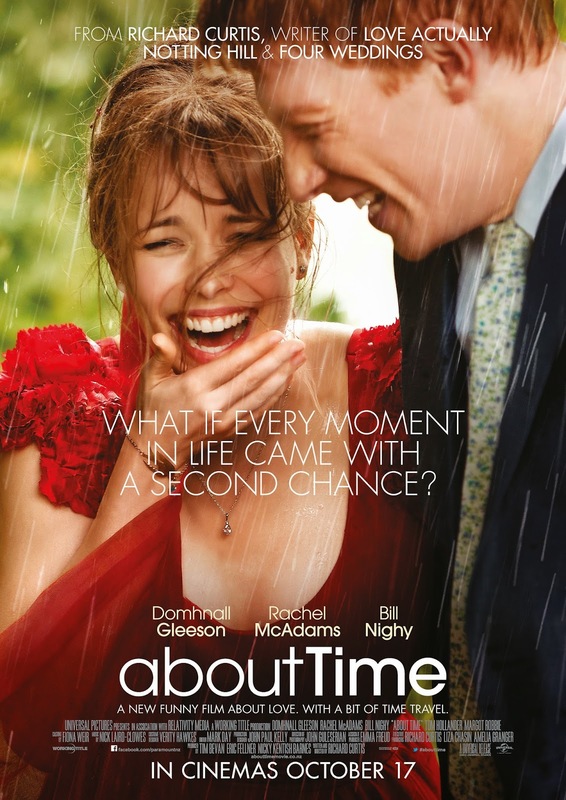 About Time is the story of...oh, you know what, he's so boring I've already forgotten his name. Let's just call him Neville; that's appropriately British enough. Neville discovers upon his 18th birthday that all the men in his family have the unique ability to travel in time, whereupon he sets out to use this gift to find the love of his life and ensure that he gets his happily ever after. The best example of how this movie fails to utilize its core premise is in Neville's first date with, oh let's call her Hortense. They meet in a bar kept in total darkness (apparently a real thing according to Wikipedia), and because Neville's gift is activated by putting himself in dark places, you would think that this would be the perfect opportunity to have the perfect date, constantly looping back until he gets it right. Otherwise, why have it in the dark at all, except to be cute? They even have a time stamp in the corner, which you'd think is only there to provide the reference point by ticking back every time he uses his power. So, what do you think happens? If you guessed that the date goes on without incident and absolutely no time travel, you'd be right, and then you will realize why this movie doesn't work. It sets up so many opportunities to marry the idea of time travel and a burgeoning new romance and then never bothers to do any of them. They don't even do the obligatory montage of reset gaffes you'd think would be in every trailer. And you might say, well, that just means its not predictable and lazy, but its not like they put anything bold or innovative in place of the time travel mechanic, and since they went to the trouble of including the time travel mechanic, why not use that to do whatever it is you wanted to do in the first place? But then maybe there are limits. He has an elderly uncle with apparent Alzheimer's, and you would only assume that this will be revealed to be a side effect of too much time travel, but no, he's just crazy I guess. Its like you can see the blueprint of a better movie all over the thing and all the little boring detours they took to avoid making it. At one point, Neville meets an old crush and he almost cheats on the girl the movie wants us to want him with, but thinks better of it at the last moment and leaves her at her hotel room. Naturally, at no point does he consider that being able to travel back in time, he has no reason to fear the consequences of any action he takes assuming he can get to a closet afterwards, and instead he goes off to continue being boring and simple. He could have gone through with it, erased it, felt guilty about it, and grown into a more complex protagonist. Maybe he would confess to his girlfriend, and thus have to explain his secret powers to her, but none of this ever happens. And it isn't just a question of interesting time travel scenarios being missed, but a larger issue that at no point does this movie try to apply any stakes or dire circumstances. His girlfriend/wife never finds out, and after a while he just stops using his powers altogether for no real reason. The film can't even keep its relatively simple rules straight. Almost immediately after the mechanics of time travel are explained, where it is explicitly stated that no forward travel is possible, Neville travels back in time, and then forward in time. The explanation given implies that he has to re-live his life from the original point every time he goes back, which once again would provide a sorely needed interesting wrinkle to the story, but then its just ignored for the sake of convenience. And then later on, he just suddenly has the ability to take other people back with him to correct their past mistakes, even though he could have easily done it for them and not had to violate the already flimsy laws of time travel physics as they were. The use of the time travel element in this movie is so inept that one wonders why the writers were so inclined to use it in the first place. Clearly romantic comedy is their bread and butter, not science fiction, and if they were this bad at it, why even bother? Well, okay, I know the answer to that. Take out the time travel, and the movie is even more boring and tedious than it already is. Even done badly, the sci-fi novelty is really the only thing the movie has going for it. Sure its sweet in places and none of the actors do a terrible job, but it all feels like they got half way into a really good idea and just gave up completely when they realized that they couldn't put it together right. Time Travel is always a puzzle, and its not easy to do it justice, especially when the main focus is on another series of genre tropes entirely. At its best, it can make almost any other kind of movie that much more engaging, but when done badly its the death knell of a film. Its easy to get wrong even when you're trying, and About Time doesn't even try. Its only saving grace is that it makes me want to go watch Groundhogs Day again for the thousandth time so I can be reminded of how to do this kind of thing the right way.